Now Shipping Nationwide! Contact Us For Information! 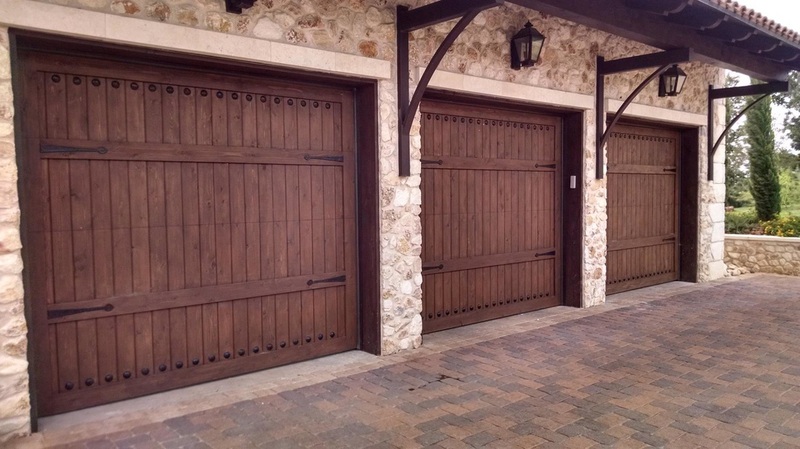 Doors R Us is a custom garage door company in Austin TX, producing the highest quality hand made and custom crafted wood garage doors and shutters. Working with many different designs we can build almost anything you can imagine from sketches, pictures, to architectural drawings. We use the highest quality materials and building products to bring you a reliable garage door system that will last you and your home many years. Each of our doors are hand made and professionally installed into your home without cutting corners. Our installers are professional and provide excellent installs, superb service, and repair calls. We service our doors less than our competitors, saving us time, and saving you money, we guarantee it. Our wood doors are built and installed on all commercial grade products. Starting with the sections which are 24g ribbed steel, doors over 12ft in width will come double end styled to ensure added stability and strength. The sections are then covered in, but not limited to, Western Red Cedar kiln dried and hand picked for defects and color match. The lumber is glued, pressed, and screwed before installation. After the design is overlaid the doors are optionally insulated, weighed, and sprung. We use commercial grade springs with a minimum of 10k cycles on double doors; on smaller doors the cycles are a minimum of 20k cycles. The doors run on smooth precision rollers; rollers travel on a full angle track. Doors over 12ft wide are double back hung for added strength and stability; all doors use commercial quality hinges. When coupled with our Liftmaster products, you can expect years of reliable, quite, efficient, and a beautiful operation. Our products are installed correctly, ensuring there is no added wear to your doors over time. Wood doors up to 20ft in length can be lifted by one person, this is a showing of the balance of the doors and quality of parts. We stand by our product and pride ourselves on honest, affordable service. Many companies will replace parts that are not worn in order to charge you more, that is not our business. We locate the problem source and fix it, if other parts or services are needed you are made aware of that then and can choose your route of repair.. When your neighbors have door issues and they ask you who helped you, we want to be your recommendation.